While you can make your own iPhone ringtones, why do you buy them from iTunes for money? 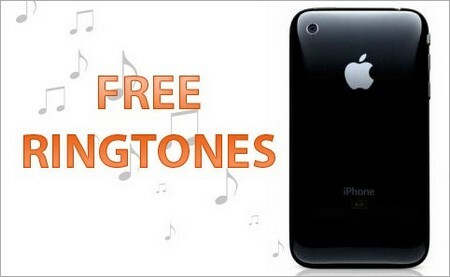 The procedure for creating your own iPhone ringtone for free of charge is as follows. In the ‘Import Setting’ select ‘AAC Encoder’ as preference. iTunes will be launched and select ‘Edit’ from menu bar, select ‘Preferences’ to pull up Preference window and click on ‘Import Setting’ from ‘General’ tab. Click ‘Ok’ after selecting ‘AAC Encoder’ in the dropdown list. From your iTune library select DRM-free mp3 track which prevents copyright infringement while creating new ringtone for iPhone. Cut the mp3 track for 30 seconds as the iPhone ringtone should not exceed 3 MB. Select the start and stop time of the track for the ringtone. Select now ‘Get Info’ from dropdown list by right clicking the mp3 track. Put check marks in two check boxes, one ‘Start Time’ and another for ‘Stop Time’ by clicking ‘Options’ from the window. The time frame which you have selected already is indicated in the format of ‘minutes:seconds’ (e.g. 1:44), then click ‘Ok’. AAC Version of cut mp3 track is created by right clicking cut mp3 track and from the list that will emerge by selecting ‘Create AAC Version’. The track which is in AAC version after conversion will appear on music list. Rename the converted ACC version by accessing it from the Windows Explorer. Locate the ACC file under ‘Where’ section by selecting ‘Get Info’ by right clicking the ACC version from music list. The file extension of AAC version should be ‘.M4A’. You can see the extension of file by clicking ‘Ok’ after ‘Hide extensions for known file types’ is unchecked from ‘view’ tab by selecting ‘Folder Options’ in the menu bar of ‘Tools’ option. Select rename by right clicking M4A file. Ensure that there exist no numbers and symbols in the file name and change the extension of file to M4R. Remove the clipped version of the iTunes music list after copying ‘.M4R’ file onto your desktop. Now in Windows Explorer of your desktop the .M4R file is copied and pasted. Remove the clipped version which we made already. Now add .M4R file in the iTunes music library. Select the option ‘Add File to Library’ from ‘File’ in the main menu of iTunes. Select ‘Open’ after locating the .M4R file which you pasted on the desktop. The iTunes will recognize the file whose name has been changed to .M4R as the ringtone and pile it in your library under the appropriate section of ringtone. After successfully adding to the music library of your iPhone the ringtone that was newly created, you have to synchronize your iPhone. Now you have created successfully and freely a new ring tone for your iPhone.